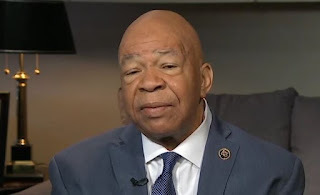 During an appearance on ABC's 'This Week' Rep. Elijah Cummings Kelley, the ranking member of the House Oversight Committee said that Kellyanne Conway's endorsement of Ivanka Trump's clothing line was 'A Textbook Case of A Violation of The Law'. He also chimed in on the Gen. Micheal Flynn controversy and Trump's accusations of voter fraud. Watch that interview below.